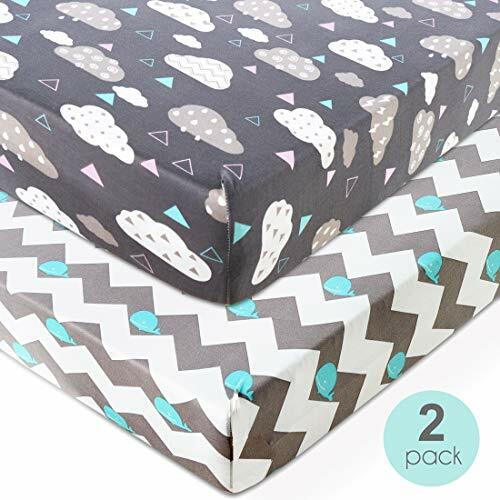 HOT DEAL Crib Sheet Set -2 Pack $6.99 Shipped After Coupon Code! Knitted Crib Sheet Set -2 Pack. Use code 95E8U736 to save $7.00 off the price listed below! ULTRA SOFT AND BREATHABLE:With the premium quality microfiber knit fabric,Soft and breathable against young and delicate skin, our 2 pack crib sheets set are perfect for making your baby's first bed a comfortable place to sleep and dream. ZERO RISK TO TRY: We are so confident on the quality of our product that we extend the free return time to 90 days. If you are not absolutely satisfied with our product for any reason in the 90 days, we will refund 100% your money. Your satisfaction is guaranteed.